The “Rawda Khani” or public lamentation is among historical ceremonies annually held in the old part of the city of Abarkuh in Yazd Province, central Iran, during the lunar month of Muharram when Imam Hussein was martyred some 14 centuries ago. This public lamentation is held to commemorate the anniversary of the tragic martyrdom of Imam Hussein and his family and companions on Ashura, the tenth day of Muharram. 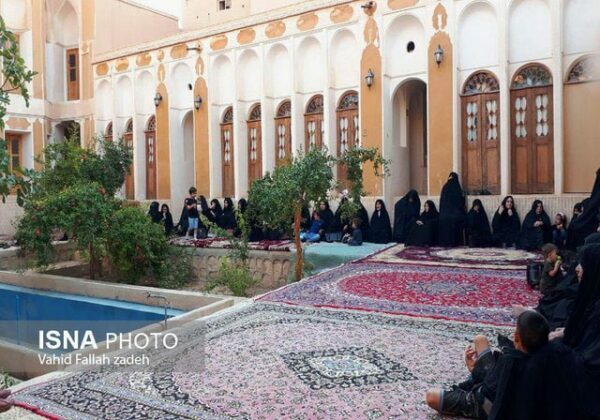 During the ritual, which is held to restore the mourning traditions of the past and to develop the historical part of the city and tourism, all the traditional Rawda Khani rites are observed for three days. The mourning ceremonies of the month of Muharram in Abarkuh have long been accompanied by special rituals, most of which are exceptional and unique ones in Iran. Before the month of Muharram, the coming of this month is announced by an ancient ritual called “Pooshzani”. In this ritual, the largest covers are hoisted in the biggest house of each neighbourhood, and the house gets prepared for Rawda Khani. Another tradition is “Chavoshi Khani”. 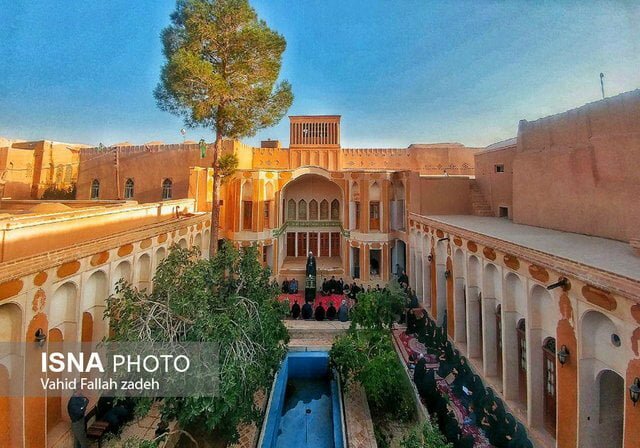 When the month of Muharram is approaching, the mourners of each city gather in different houses and neighbourhoods, or they collectively sing eulogies for Imam Hussein on the roof of congregation halls, Tekyehs, and holy shrines. In this way, the people of the city and village are informed about the coming of the month of Muharram and get prepared for the mourning for Imam Hussein. The “Pamenbari” ritual is also among the customs observed during the holy month. 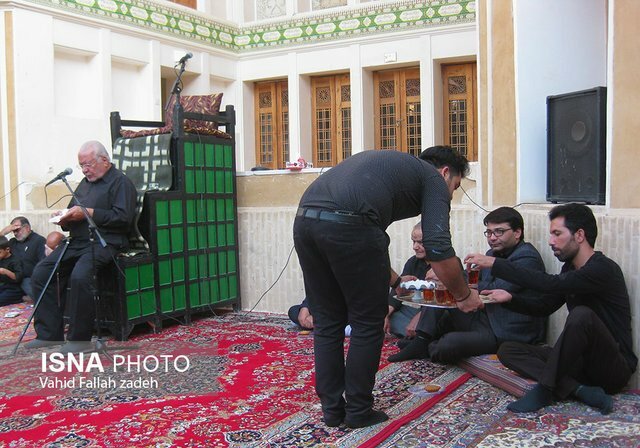 In this ritual, during the interval between the speeches of two clerics from the pulpit, people who are often familiar with Rawda Khani start lamentation while hitting their hands on their knees. 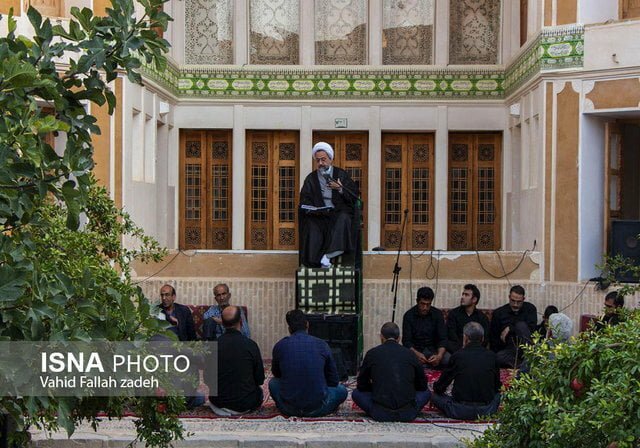 From the sixth night of the month, the congregation of mourners is formed in a more serious way, and various mourning groups enter the Rawda Khani ceremonies with drums. As the mourning groups arrive at the congregation they start to hit their drums with a faster beat, and at that time, the lamentation is stopped to pay respect to the mourners. Then, the mourners hit themselves with chains in a rite called Zanjirzani. 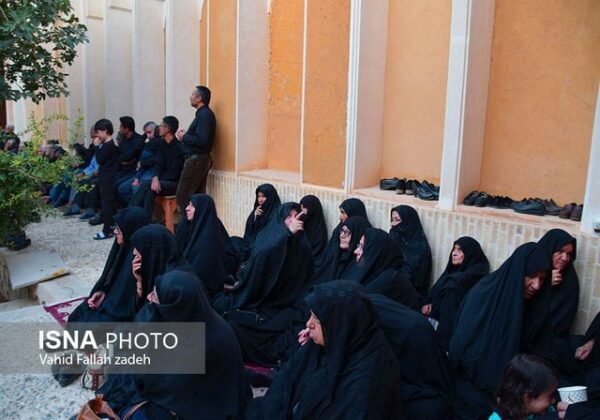 As the Chavoshi Khani is started, the music of the drums is stopped and the mourners take a short rest. Again, with the drums playing, Zanjirzani is resumed. After 30 minutes of mourning by the group, the chains are put aside and the mourners join those who were hitting their chests for the martyrdom of Imam Hussein and his followers. At the end, when the group is leaving the congregation, public lamentation starts again. 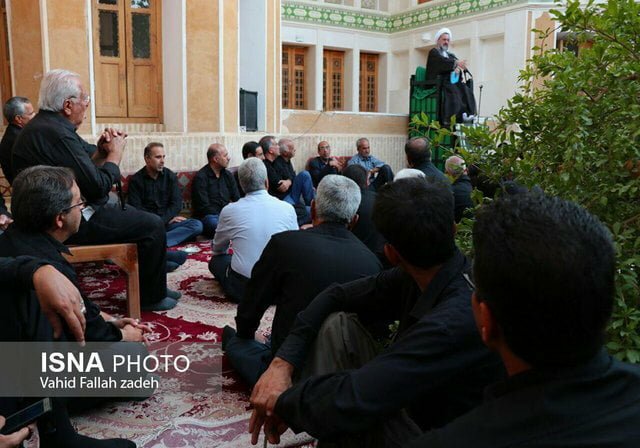 During the mourning ceremony, the host receives the mourners by offering them tea.